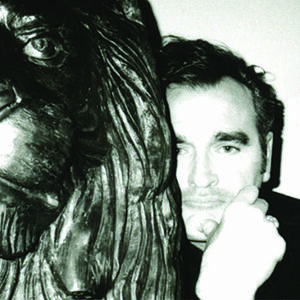 Kiss Me A Lot is a song that appears on Morrissey's tenth solo album, World Peace Is None Of Your Business. The song was produced by Joe Chiccarelli and co-written by Jesse Tobias. Kiss Me A Lot was released as a digital single on 27 March 2015. The official music video was posted by Sam Esty Rayner on YouTube, 5 April 2015.
stock-yard, church yard your mammy's backyard I don't care when or where I just care that you're there and that you will kiss me a lot kiss me all over my face kiss me a lot kiss me all over the place kiss me a lot I don't care where or when but when you've kissed me kiss me all over again. ↑ "Kiss Me A Lot" single (digital download) released (Mar. 27, 2015) (2015-03-26). Morrissey-solo. Retrieved from morrissey-solo.com. ↑ ""Kiss Me A Lot" official video directed by Sam Esty Rayner - TTY (2015-04-05). Morrissey-solo. Retrieved from morrissey-solo.com. This page was last modified on 30 June 2015, at 22:23.